My favorite time of the year is finally (almost) here, but the Mississippi heat hasn’t slowed down yet! 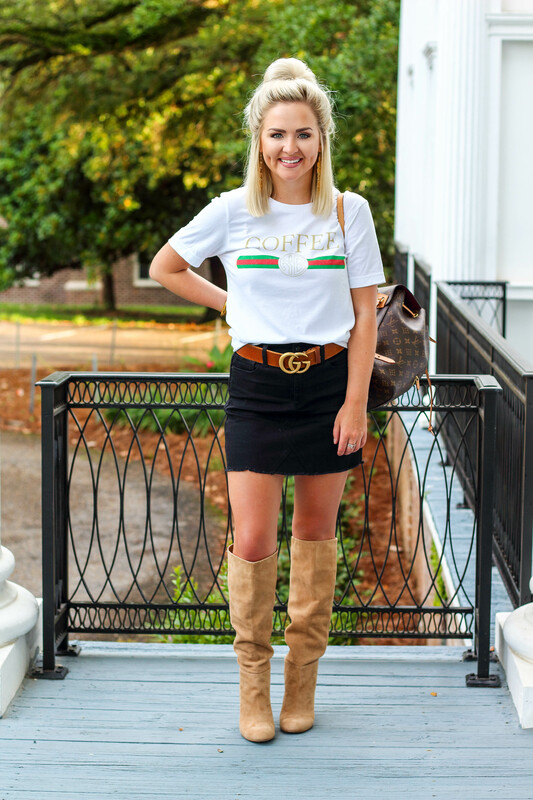 Until I can bundle up in chunky knits and Ugg boots, I’ll be wearing the next best thing: lightweight sweaters (preferably colorblock) and cutoff shorts styled with my favorite booties! 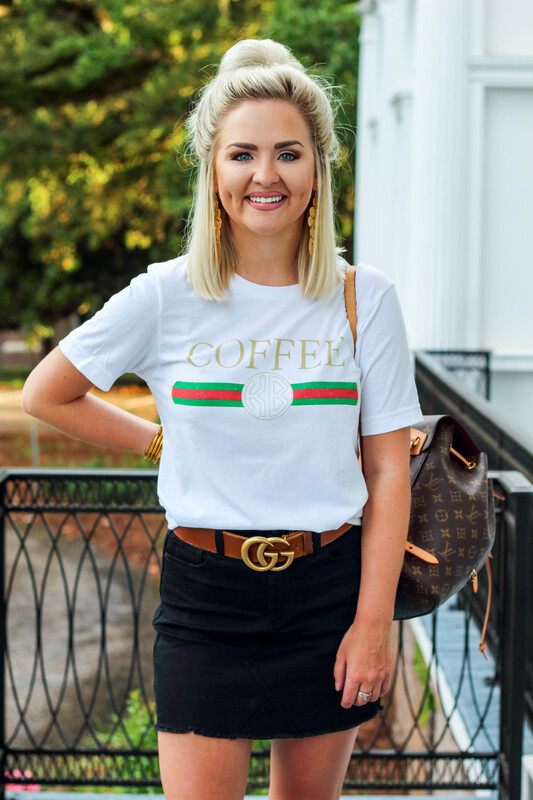 I’m obsessed with the way this outfit looks together, and it’s perfect when you live in a place that stays hot longer. You can (kind of) enjoy early Fall without having a total heat stroke! Lol. 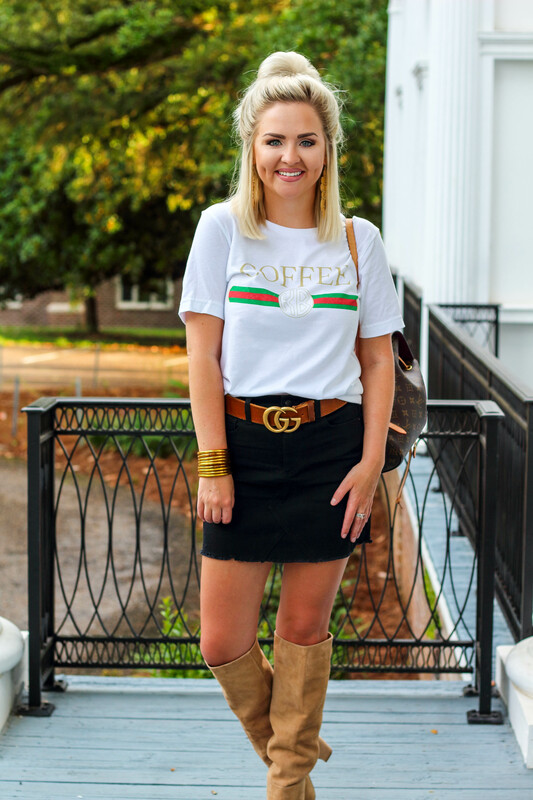 This sweater is one of the most popular ones right now, and you REALLY have to have it! (It’s a dupe for a $124 Wildfox version) This one is from a boutique, but I’m linking others I love below too! Anyone else been in college football mode since September 1st?! HA! It’s the absolute best going back to Starkville and spending time with my college pals! But we’re playing in Kentucky this weekend, so my best friends and I are headed to NOLA for the Taylor Swift concert. I cannot contain my excitement!!! I have wanted to see her perform for YEARS, and it’s finally happening. I think we picked a great tour to see from watching videos in other cities! Still jealous I missed Tim McGraw and Faith Hill in Nashville! Have any of yall seen the show?! Let me know in the comments below!! PS: We shot these photos 5 minutes after it rained if you’re wondering why my hair looks SO frizzy. Just have to roll with the punches sometimes! Hahaha. 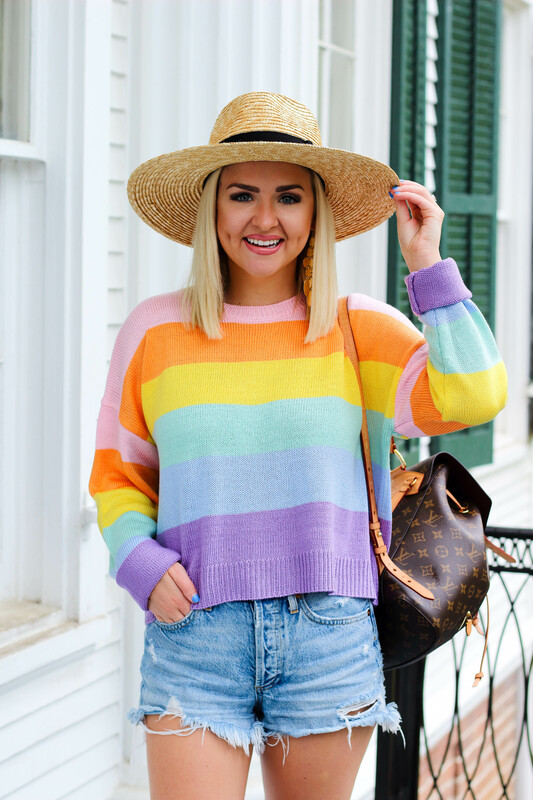 Since making its debut this Spring, I have become rainbow obsessed! (Specifically the stripes, I cannot get enough!) 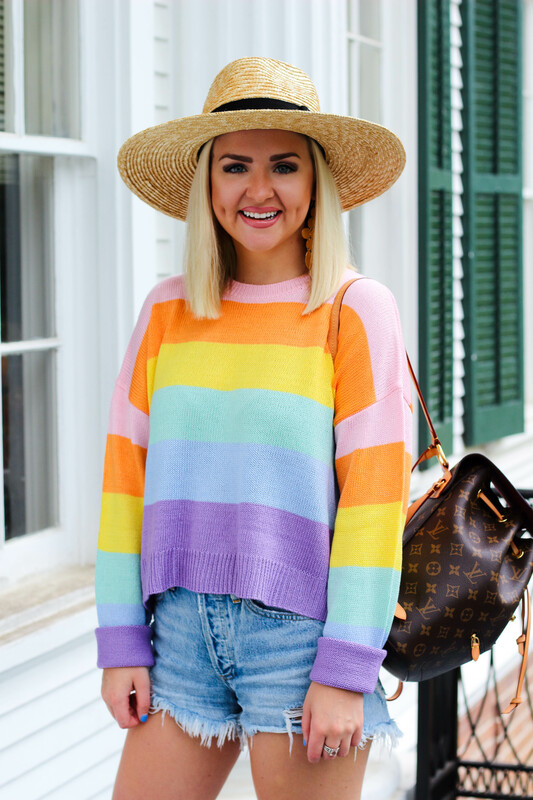 So of course I was thrilled when all the rainbow sweaters started popping into the new arrivals section! 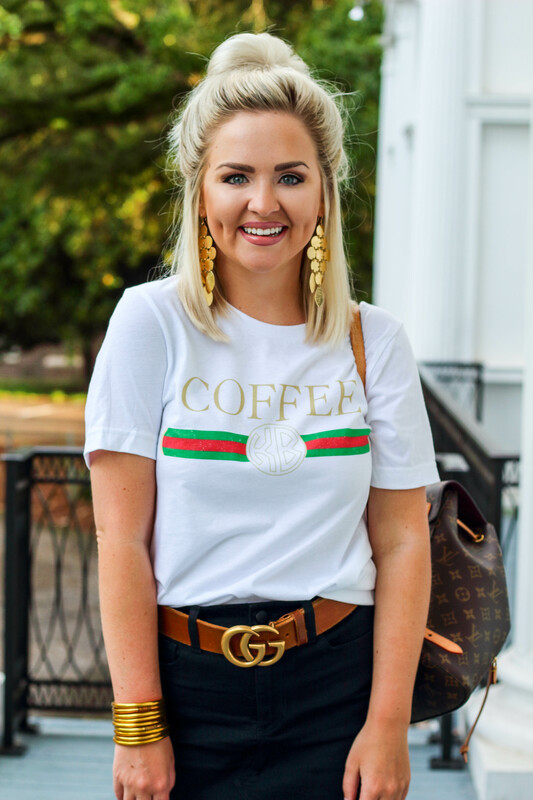 Honestly, even if it wasn’t on trend for Fall, I’d 100% still be wearing it. 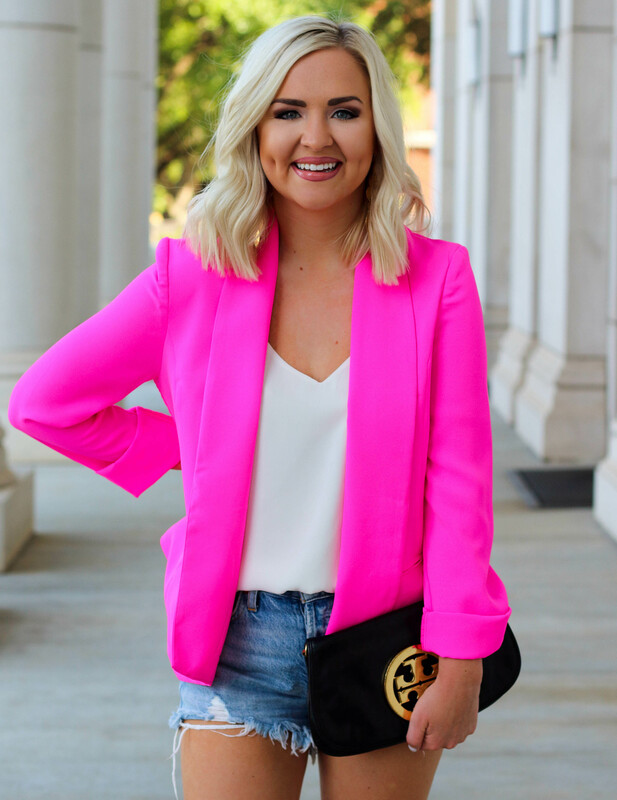 I LOVE fun colors, and nothing makes me happier than rainbow print! Funny story: Do you guys remember those long, skinny popsicles? (90s kid alert) When I was little, I would eat every color because I thought it would turn me rainbow colored… I was devastated when my mom told me that it didn’t work like that! I’m honestly laughing as I type this. Gosh, the imagination of a kid! 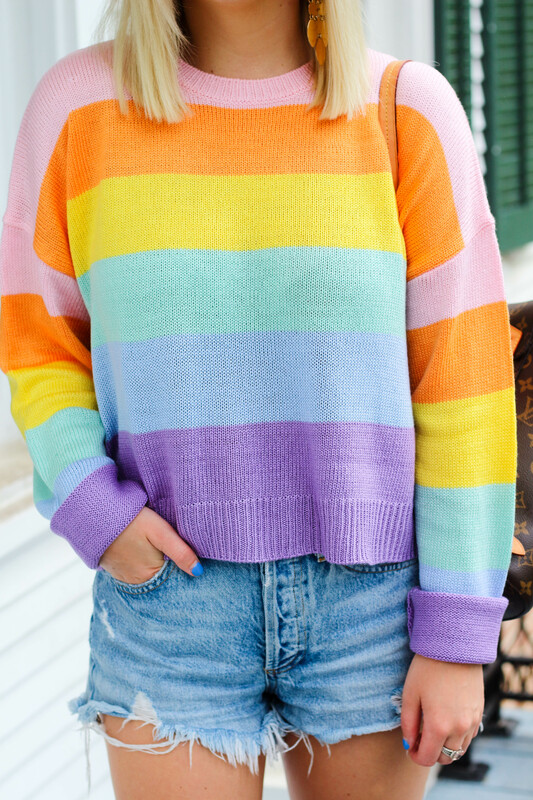 When I found this sweater on one of my favorite retailers’ site, I died. Okay, maybe that’s a tad dramatic, but I knew I HAD to buy! I had been eyeing the Wildfox version with a hefty price tag of $124, and I’m SO happy I never took the plunge. I swear this sweater is cuter AND ONLY $23. It’s worth every penny! 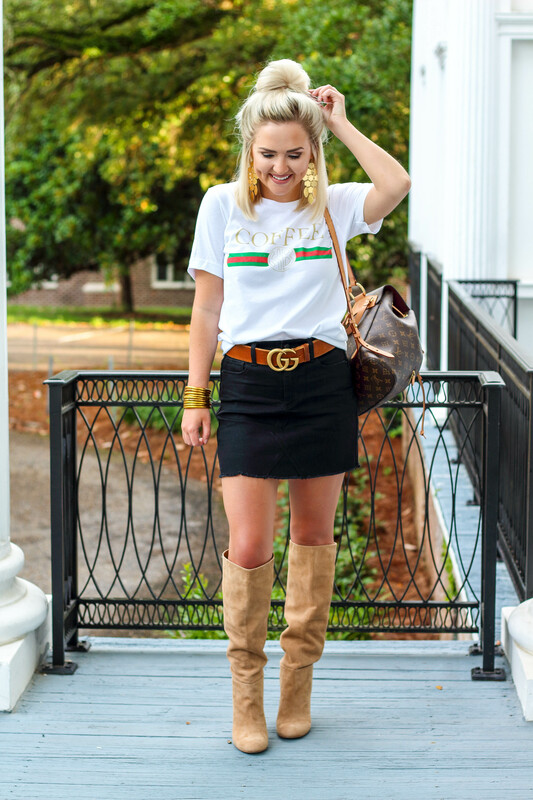 Even though I am still fully committed to summer, I did style this outfit with a fall vibe! 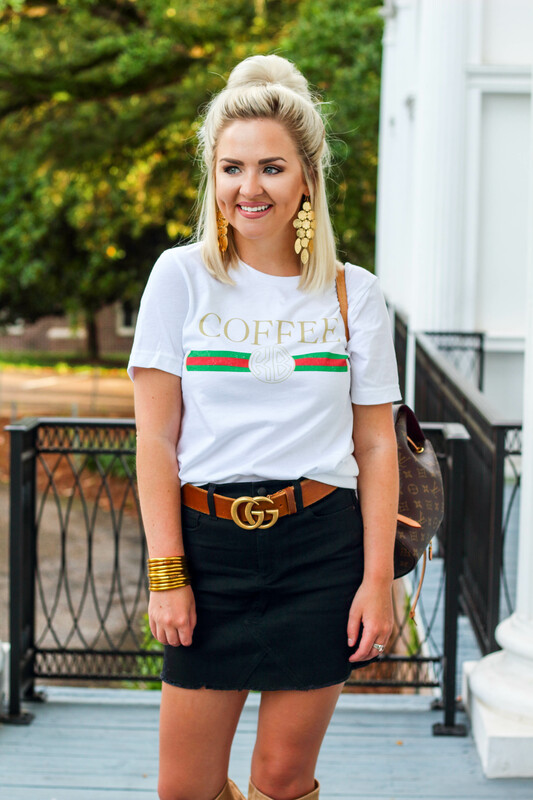 (I have no choice though- it’s hot until November where I live HAHA) On the plus side, my skirt is definitely a staple piece and can be worn year-round! 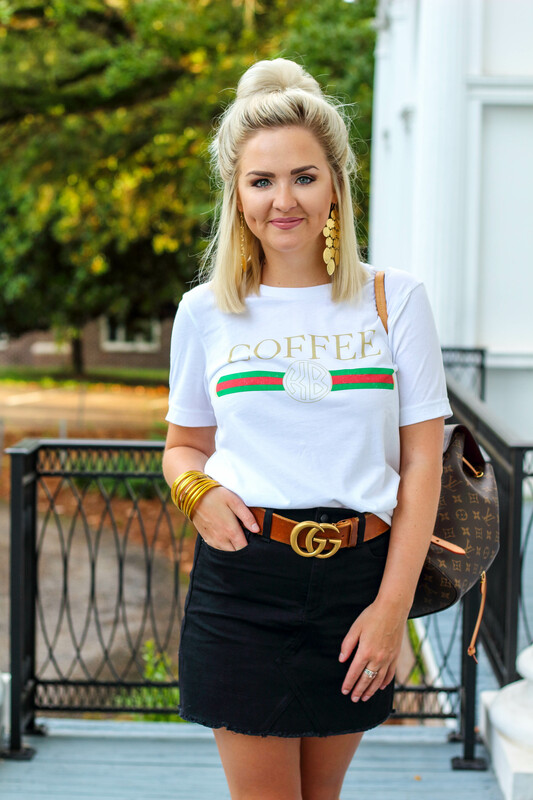 This tee is super versatile as well, and I’m planning on pairing it with my denim shorts too. 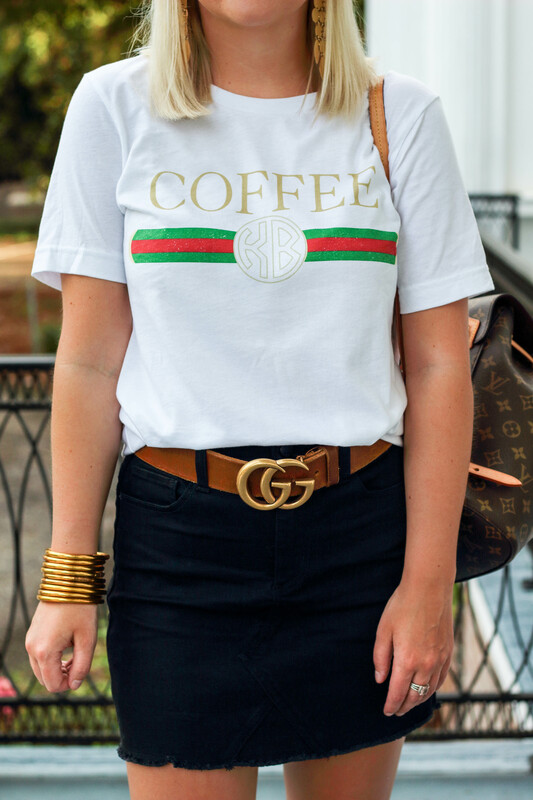 It’s pretty fitting that it says “coffee” on the front because I have turned into a total addict lately! Oops! I have been popping k-cups in my Keurig left and right. Lol!